Article Originally Appeared in Deep South Magazine by Ardelia Lee. Big city life isn’t always what it’s cracked up to be. Southerners know better than most that nothing makes for a good story quite like small town life and its cast of characters. These nine small towns have charm, history, adventure — and literary roots. Visit the birthplaces of some of the South’s most influential writers and come back with your own stories to tell. Located an hour and a half from both Atlanta and Augusta,Milledgeville is a quintessential small town. 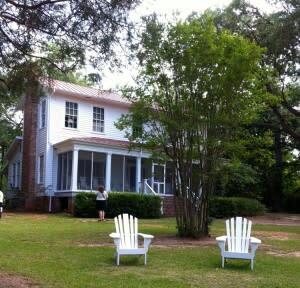 Flannery O’Connor was born here, and one of the town’s must-see attractions is her former home at Andalusia Farm (pictured). After you’re done touring her bedroom and meeting the resident peacock, check out the Flannery O’Connor Room at the Georgia College Museum in Milledgeville. Another unique building to see in town is the Old Governor’s Mansion. Home to Georgia’s governors from 1839 to 1868, it’s also one of the best examples of Greek Revival architecture in Georgia, albeit a pink one. For a spookier architectural experience, get a glimpse of Central State Hospital, the shuttered lunatic asylum. To see the town without driving, hop on a Historic Milledgeville Trolley Tour. If you prefer walking, head to the Bartam State Forest. Educational hiking trails will lead you through the forrest’s many beauties, like natural wetlands and abundant wildlife. With a population of 200,000, Columbus is one of the larger towns on our list. Birthplace of Carson McCullers, Columbus offers plenty of activities for visitors, like the Chattahoochee RiverWalk — sporting the the longest urban whitewater course for rafting in the world — and the National Civil War Naval Museum. Architecture fans will love driving through MidTown, home to six contiguous national and state historic sites. 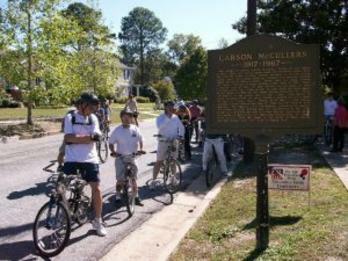 Literary fans should head over to the Carson McCullers Center, a museum dedicated to preserving McCullers’ legacy and encouraging aspiring writers, artists and musicians. Next, stop by the Lummus Cotton Gin, which is said to have served as inspiration for some of the settings in McCullers’ books. If you’re looking for a home-cooked, Southern barbecue meal, stop by a Country’s Barbecue location for pork platter, sandwich or even a salad. The birthplace of Harper Lee is home to about 6,500 people, so if you’re looking for small town charm, you’ll find it in Monroeville. Get out and enjoy the sunny weather by spending the day at Whitey Lee Park. The park is a sprawling 20 acres, and its lake is stocked with catfish and bream for fishing (a favorite pastime of Harper Lee). Every year during April and May, the locals perform To Kill a Mockingbird at Courthouse Square. The first act takes place outside in the amphitheater on the lawn of the Courthouse Museum, while the second act heads inside the historic courtroom where Lee’s father practiced law. 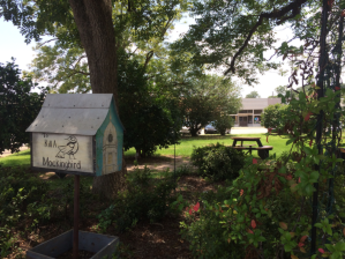 After the performance, stroll downtown and follow the Birdhouse Trail (pictured), a collection of custom-designed birdhouses by local artists, then stop by Mel’s Dairy Dream for a sweet treat and view of the site where Harper Lee’s former house stood. While Eatonville today differs somewhat from the Eatonville in Zora Neale Hurston’s novels, the town is one of Florida’s best cultural gems. It was founded in 1887 and holds the distinction of being the first incorporated all-black city in the nation. Visit the Zora Neale Hurston Museum of Fine Arts, which displays the works of artists of African descent and offers visitor information. 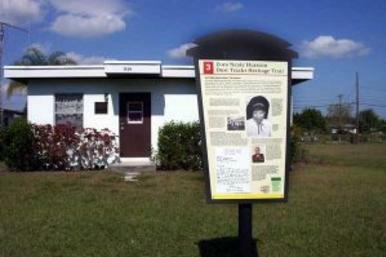 You can also follow the Zora Neal Hurston Dust Tracks Heritage Trail (pictured) that connects 16 historical sites and 10 markers with the author’s writings. For authentic Eatonville fare, head to Gordon’s Be Back Fish House for fried catfish, coleslaw and hushpuppies just the way Janie and Teacake would have liked them. 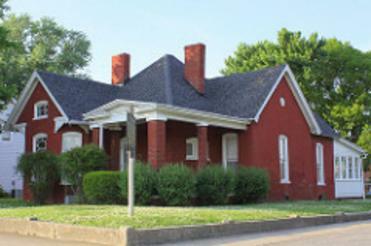 The birthplace of Tennessee Williams, Columbusbrims with history. 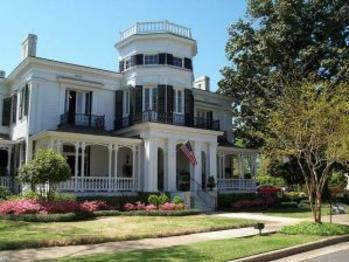 In September, the town hosts theAnnual Tennessee Williams Tribute and tour of Victorian Homes. If you can’t make it for the tribute and tour, visit one of Columbus’s 676 historic places and 23 National Register properties. Another place of interest is the R. E. Hunt Museum and Cultural Center. When it first opened in the late 1950s, the center educated thousands of African American students at a time when segregation and racism were rampant. The museum offers visitors a unique look at the history of education in Columbus, home to 20,000 people. Stroll down Main Street and take in historic downtown. Try the Cafe on Main, voted No. 1 Plate Lunch, or Doug and Hazel’s Drive-In for something straight out of a Williams play. 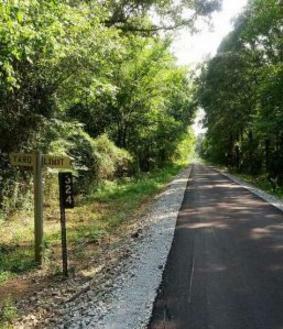 If you can’t manage to ride the whole Tanglefoot Trail, stay in New Albany and enjoy parks, specialty shops and eateries likeAC’s Coffee or Sugaree’s Bakery. Faulkner fans can view his birth site located one block from the Union County Heritage Museum, which also features theWilliam Faulkner Literary Garden. Known as the crossroads of the South, Guthrie is located on the Kentucky-Tennessee border and has a population of 1,500. It’s the birthplace of Robert Penn Warren, best known for All the King’s Men, and houses the Robert Penn Warren Birthplace Museum (pictured), a must-see on your trip to this quaint border town. After seeing the museum, stop at Red Top Barbecue for no-frills pork, beef, ribs and chicken. However, you’ll want to leave some room in your stomach for your Schlabach’s Amish Bakery. Schlabach’s has almost everything a pastry lover could want: fried pies, cakes, cookies, sweet rolls, chocolate rolls, breads and dinner rolls. Some you might even get fresh from the oven. With a full stomach, your next stop should be Country Pantry for iron skillets, locally grown spices, maple syrup and jams and jellies to take home. 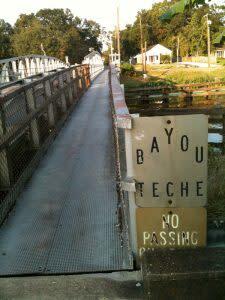 About two and a half hours west of New Orleans, you’ll find the hometown of James Lee Burke. New Iberia has lots to offer visitors, from sweeping live oaks to shopping and local culture. Be sure to stroll downtown along the bayou through historic Main Street. There’s even a James Lee Burke walking tour mapped out for fans. Dine like Dave Robicheaux at Victor’s Cafeteria or see local art on display at upscale Clementine Dining & Spirits. You’ll find the latest Burke novel, along with signed copies and local history books at Books Along the Teche. To see more of the setting that inspired Burke, take a drive out toCypremort Point State Park and have a picnic on the beach overlooking the Gulf of Mexico. Rediscover the late Alabama author Stephen King called “the finest writer of paperback originals in America.” Located in southeast Alabama, Enterprise is the birthplace of horror writer Michael McDowell (best known for writing the screenplay for “Beetlejuice”). Although he lived in Massachusetts for much of his life, McDowell set many of his novels in his home state and was no doubt inspired by small town life. To really get a feel for the town’s history, stroll through the streets of the historic district and stop in at the Depot Museum. Check out the Historic Rawls, a hotel built in 1903 that now houses a fine dining restaurant, bar and bed and breakfast. 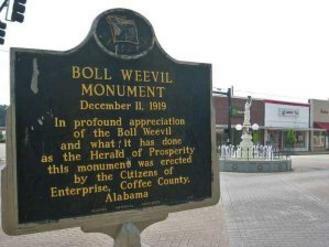 For something a bit quirkier, take advantage of a photo opp by the city’s Boll Weevil Monument. Photo credits, from top: McCullers Center bikers courtesy of Carson McCullers Center; Zora Neale Hurston home courtesy of Visit Florida; Tanglefoot Trail by Matthew Nichols from Flickr Creative Commons; and Boll Weevil Monument from Wikipedia.